I also forgot to ask - how long before the rocket pack Skinnerz infantry end up in the store? Those were the other thing I was hoping to get. The strip bases should be on the way soon now as E&C has stated, the bad news is that the manufacturer has increased production costs so we will need to up the store price to compensate, if we keep the current price we will be making pretty much zero profit from these which is just not worth the effort logistically or financially so i'm afraid the price will rise once the stock has arrived. Sorry to have to do this but it's out of our hands until we can source our own manumould that is and bring production in house at which time we should be able to drop the price again. Most likely 50 strip bases will now cost £6.00 a pack. @Stormwind, the skinnerz drop troops will be in store within the next few weeks, certain figures on the sprue have had casting issues so I need to remove poor casts from each sprue and add back in good casts, all this takes a lot of time obviously so yes they are coming but I cannot say exactly when i'll have time to get them all quality checked. I don't mind paying that, to be honest, I'd rather have plastic than MDF. Sorry to hear you had trouble with them, not to worry, glad to know they'll come in time! It's very pretty, certainly. How does it compare to the old plastic (Beetleback) Warlords? 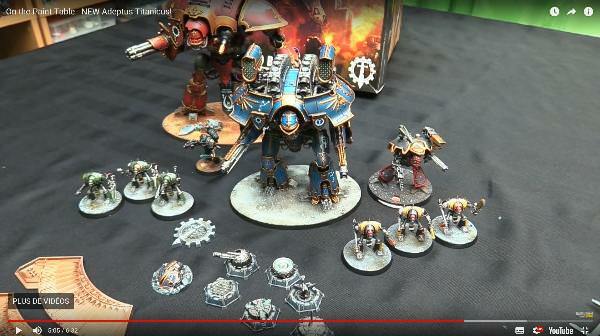 Might buy a box of Knights, but gonna pass on the Warlord at $110US. I'm sure I can find one or two good-looking proxies from alternate vendors. I think that VGM should produce a modular plastic set of fortifications that can be topped with weapons, communications gear, orbital defense lasers, or other coolness. Of course this all should be done in a a fresh IP so... octagons! 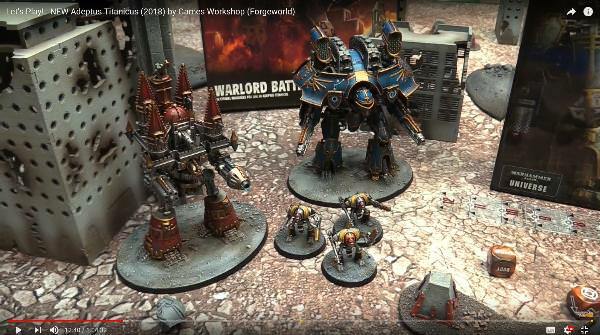 That original Warlord will look mighty good on some 3mm tables now. Um now where are those concepts I wonder. Looks like it's too big both for my wallet and my gaming table... But it is certainly nice-looking. Just switch to 3mm already! Receiving a lot of mail asking after various products so I thought i'd roll out a quick state of play update. Currently on order and or awaiting delivery, Onslaught minis latest releases plus a general re-stock but with the sheer size of Onslaughts range now I have had to priorities which items to re-stock first, another order for those items I could not afford this time round should be submitted next month. Wasteland Games re-stock is currently casting, no idea on an ETA on this order as of yet. The re-stock of the 3mm resin buildings from Gregster's Lab are also in production as well as the 6mm shanties, an initial small re-stock should be with me soon with the rest to follow once the resin supplier delivers. Troublemaker Games plastic terrain sets are also on re-order and expected very soon. I have several new 3mm and 6mm items coming out over the coming weeks myself plus a continuous flow of re-stock items are coming in most weeks.